Start a tour of this unique country by exploring the capital, Vienna, which boasts pretty cobbled lanes, excellent museums and some formidable architecture. From there, head south to Graz, with its Italian-inspired buildings and lush greenery, or west to the story book town of Salzburg, which was once home to Wolfgang Amadeus Mozart. Even further west, the alpine city of Innsbruck is the place to be for winter sports. No matter where you want to travel, having an Austria rail pass in your pocket will make the whole experience easier and cheaper - not to mention far more scenic. When you book through International Rail, you can choose between two different rail passes: the Austria Pass and the Global Pass. The Austria Pass allows for 3, 4, 6 or 8 days of (unlimited) train travel through Austria over a one-month period. You can also get discounts on public transport, and free entry to railway lounges. 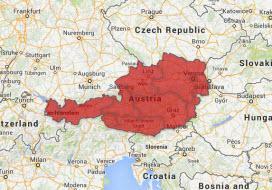 With the Global Pass you can travel around Austria as well as 29 other European countries. Participating countries include Germany, the Czech Republic, Croatia, Slovenia, Hungary, Switzerland and Italy. The global pass also allows you to select the period over which you travel, and your "travel days" within that period. On your chosen travel days you can take as many train journeys as you want. To book your chosen Austria Rail Pass, simply choose your ticket, select your age category and click first or second class - it’s that simple. If you don’t require a full pass, and would just like to book some individual Austria rail tickets, visit our Rail Tickets page.